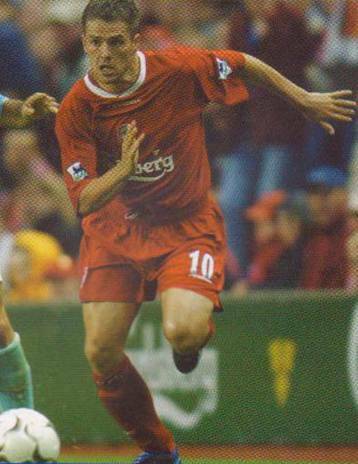 Date: Saturday, 25th October 2003. 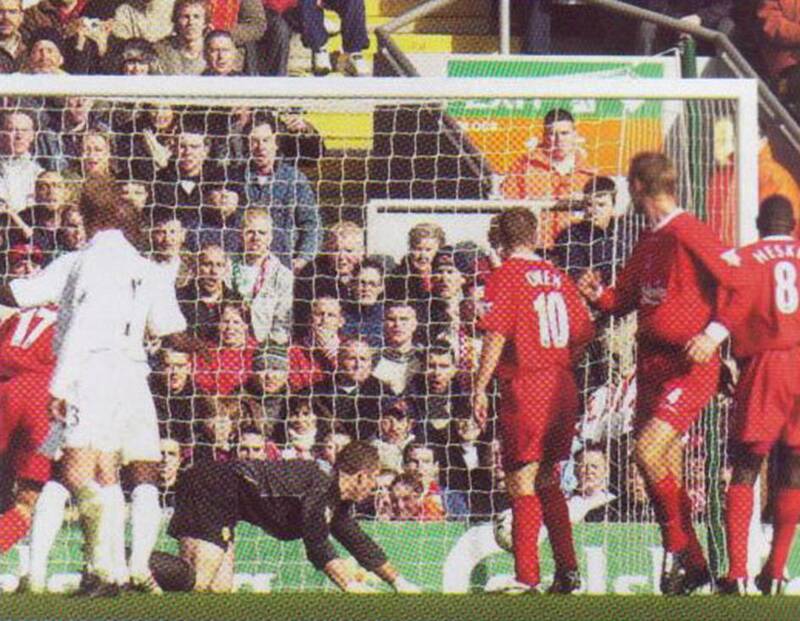 Score: Liverpool 3 Leeds United 1. 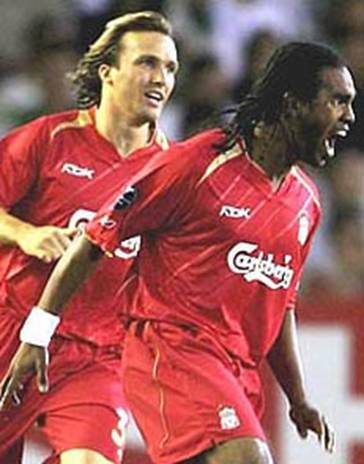 Scorers: Liverpool: Owen, Murphy, Pongolle. 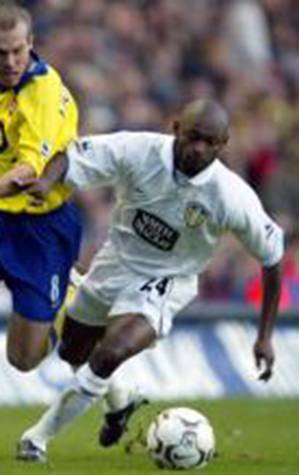 Leeds United: Smith. 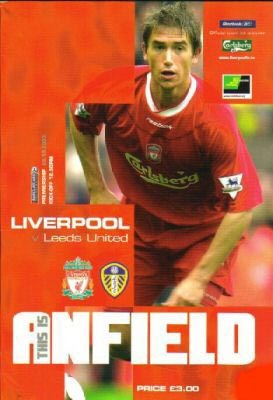 Liverpool: Dudek; Finnan, Hyypia, Riise; Smicer (Murphy), Gerrard, Biscan, Kewell (Le Tallec); El-Hadji Diouf, Owen (Pongolle), Heskey. Unused Subs: Henchoz, Kirkland. 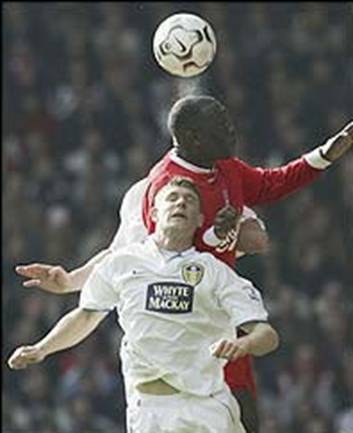 Leeds United: Robinson; Kelly, Camara, Matteo, Johnson (Barmby); Batty, Olembe, Milner (Sakho); Pennant (Lennon), Smith, Viduka. Unused Subs: Roque Junior, Carson. Referee: Mr J. Winter (Stockton-on-Tees). 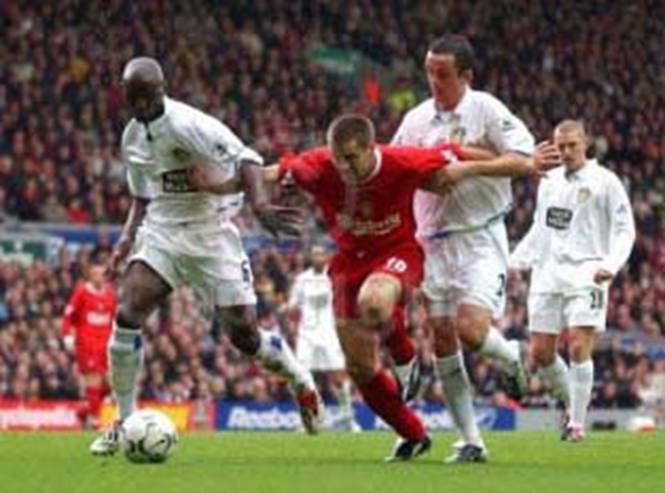 The nightmare that was referee Jeff Winter wrecked Leeds United's chances at Anfield. A howler of a decision by Winter cost United at least a point from the clash with Liverpool, and left Leeds boss Peter Reid wondering if he had upset the great man upstairs. 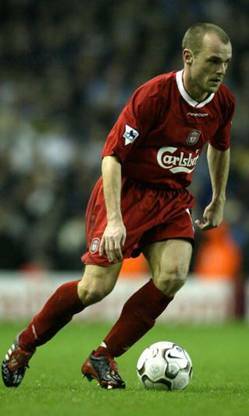 Winter's decision to over-rule his assistant and allow a Danny Murphy free-kick to stand when at least three players were in an offside position proved the turning point in the contest. 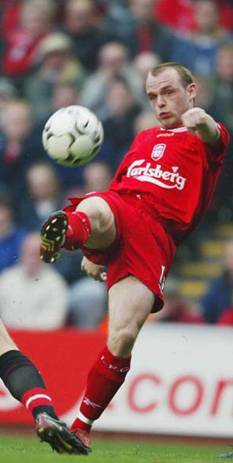 It was a scandalous decision and one which was to cost Peter Reid's United yet again. In a pre-rehearsed move, the United defence moved out to leave the home attackers in an offside position when the ball was kicked. 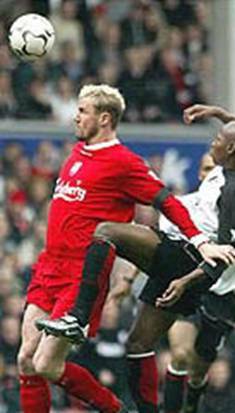 Yet the referee, who was hardly well placed, somehow came to the decision that they weren't interfering with play. 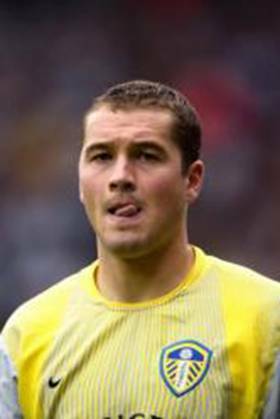 It could be argued that Paul Robinson should have saved the free-kick, he admitted his error afterwards, but that was irrelevant given the players in an offside position. Sadly, United's season was starting to read like a book of excuses now, but no one would argue that Reid's side were just not getting the breaks they deserved. 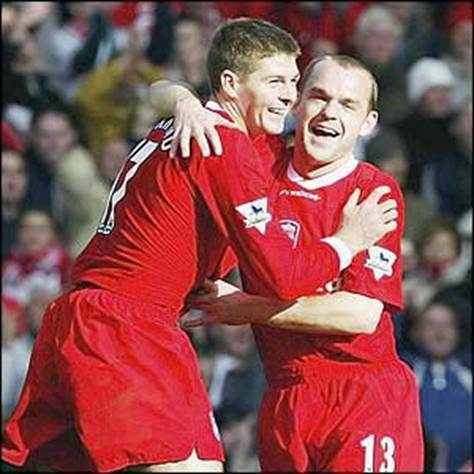 They looked the most likely side to win the game until Danny Murphy's fifty-seventh minute free-kick squirmed home to give Liverpool an undeserved lead. 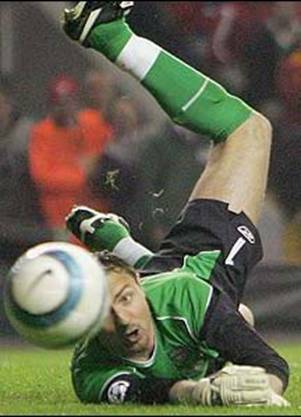 Up to that point, the under-pressure Reds had huffed and puffed, but rarely threatened to blow the United house down. 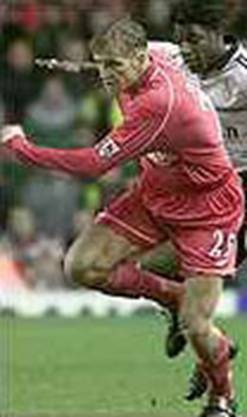 Indeed, the final score-line not only flattered Liverpool, but it also papered over a few cracks for Anfield boss Gerard Houllier. 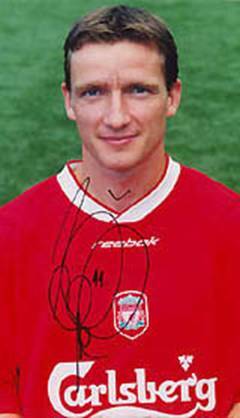 Take the outstanding Stevie Gerrard and the goal-poaching skills of Michael Owen out of the team and they were a very ordinary side indeed. They found United stubborn in defence and looked vulnerable themselves when Leeds attacked. 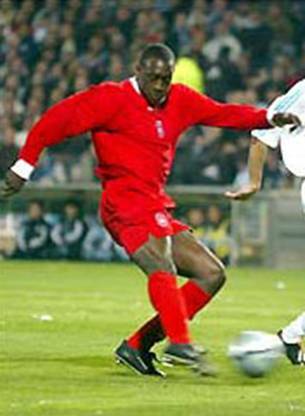 It was only the lucky break that sent them on their way to victory and Gerard Houllier must be grateful to Winter, because nine times out of ten the crucial strike would have been disallowed. 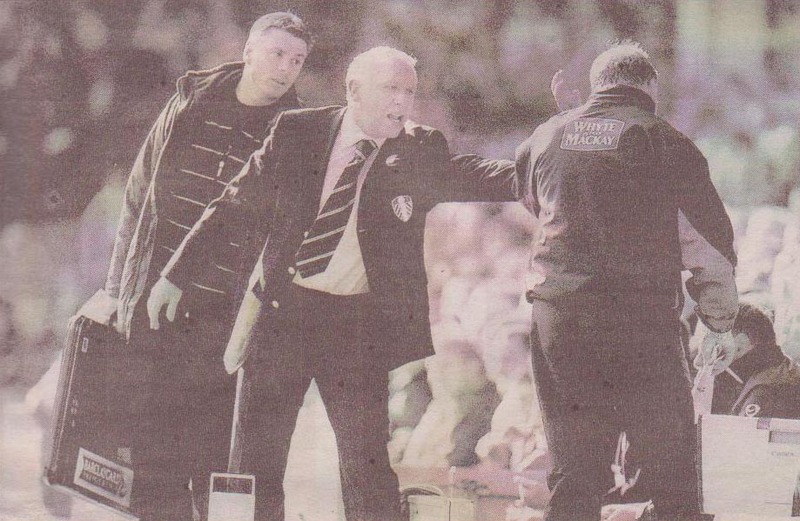 United boss Peter Reid must have been getting sick and tired of explaining away games that were being settled by the match officials because this was the fourth time that season Leeds had paid a heavy price for someone else's incompetence. Their work-rate alone deserved at least a point on Saturday while they had also created enough chances to win. 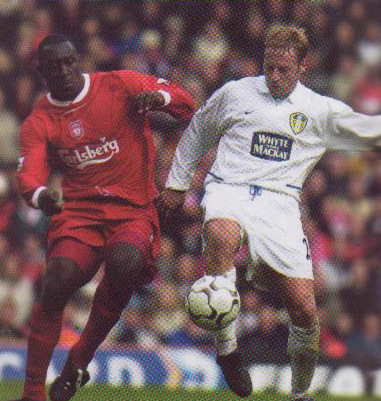 David Batty was again outstanding in the middle of the park and, even when Leeds were picking themselves up off the floor following Danny Murphy's sucker punch, the hometown hero was attempting to lead a one-man revival to drag United back into the contest. 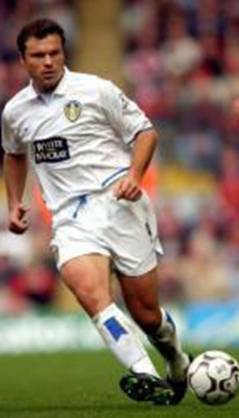 David Batty wasn't alone in leading United forward. Left-back Salomon Olembe, who played a key role in United's solid defence, had another terrific game and some of his distribution was first class. 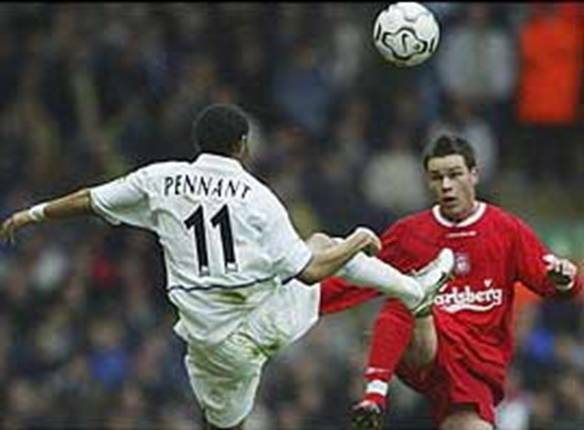 Jermaine Pennant was an occasional threat, though his first touch still lets him down now and again, and it was no surprise that he turned John Arne Riise inside out on more than one occasion on the right flank. 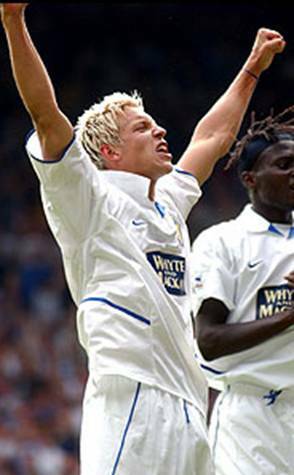 Alan Smith also worked his socks off and it was fitting that his fiftieth goal in a United shirt should come at the same ground where he netted his first some six years previous. 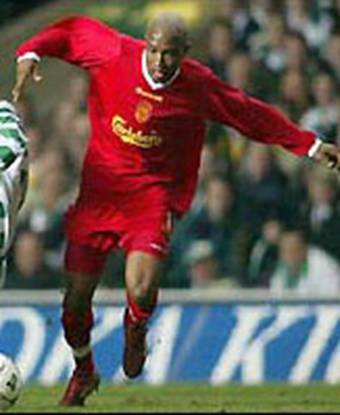 Alan Smith netted United's equaliser following great work by Jermaine Pennant just seven minutes after the hosts opened the scoring, and that was the cue for Liverpool to start twitching. 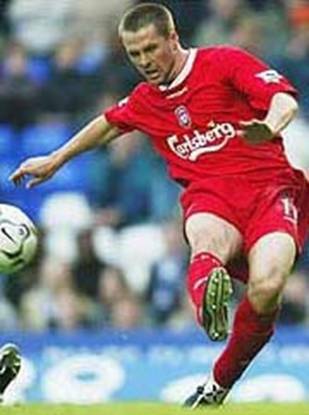 The Reds clearly thought they were on their way when the lethal Michael Owen delivered a tremendous strike on thirty-five minutes to give them the lead, but United's leveller hit them like a brick. 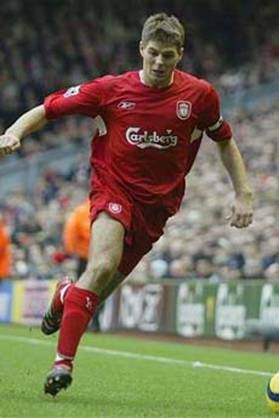 There was unrest in the stands and as passes started to go astray only new Reds skipper Steven Gerrard really looked like he wanted to stand up and be counted. 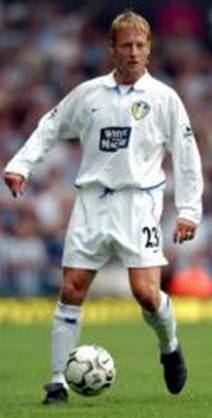 Harry Kewell, who was abused throughout by the travelling fans, went AWOL at a crucial time and he still looked like the same luxury figure he did at Elland Road. 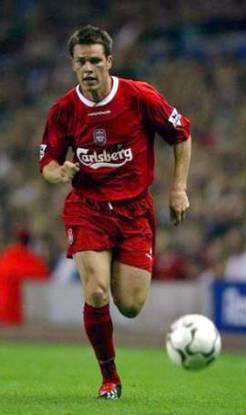 But Kewell wasn't the only quality player to drift in and out and the under-achievers were certainly ruling the roost at Anfield. 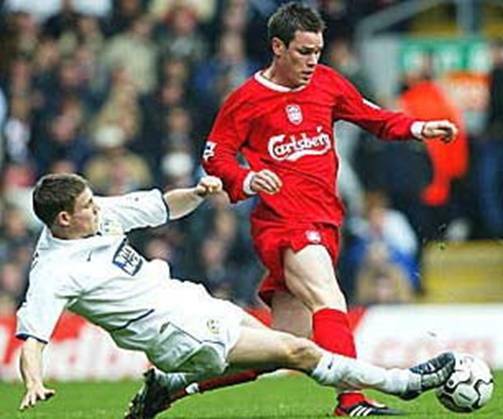 Liverpool were restricted to long-range opportunities only, with Leeds making up for a lack of craft with sheer hard graft. 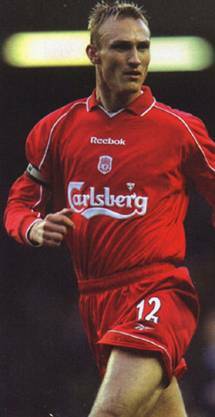 Peter Reid had engendered a hard-working attitude and United again gave their all with a tireless performance. 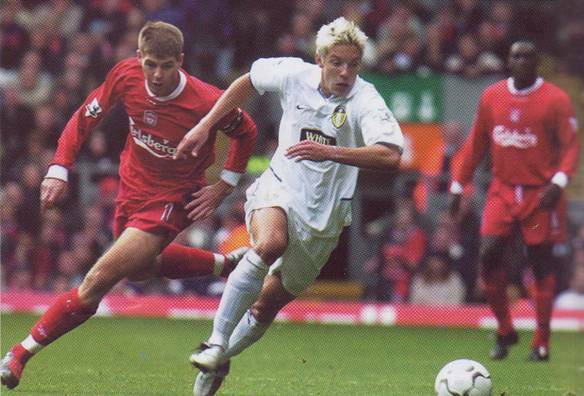 Chances had been few and far between in the recent weeks, but Alan Smith's leveller gave United hope of pulling off a shock win and Mark Viduka, who also went close in the first half, should have put Leeds ahead. 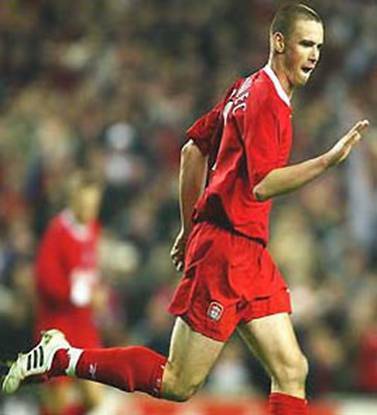 A lovely build-up saw Seth Johnson send Viduka clear, but the burly Aussie fired straight at Jerzy Dudek and a golden opportunity went begging. 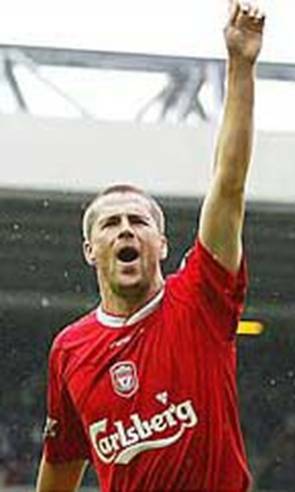 Just five minutes later Paul Robinson made a hash of Danny Murphy's free-kick and the balance of power was with Liverpool again. 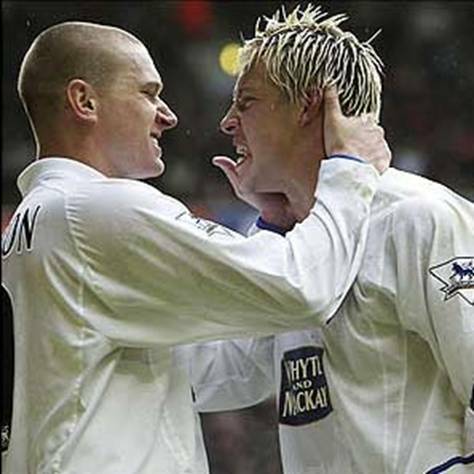 That wasn't the cue for Leeds heads to drop, but they were at fault for losing their discipline and David Batty and skipper Dominic Matteo, both still livid at the goal, were guilty of reckless challenges. For the first time in the game, Liverpool managed to create some clear chances as Leeds attempted to press and the third goal came with six minutes remaining. 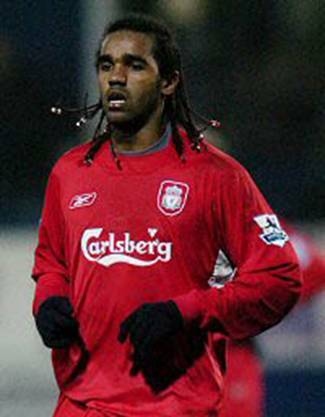 Florent-Sinama Pongolle got in between Zoumana Camara and Paul Robinson after latching onto a long ball forward and it was game over. Ironically, the 3-1 score-line was the same as when Peter Reid made his United bow at Anfield seven months ago, but that was where the similarities ended. 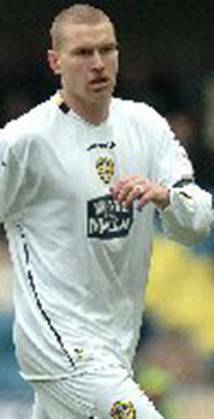 On that occasion Leeds were battered, this time around they could be forgiven for feeling they were cheated out of a result after one bizarre decision. The work ethic was now there, United were defending solidly and they even kept hold of the ball better on that Saturday. 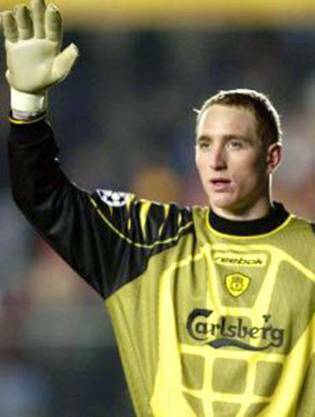 The verve and swagger of recent years had gone, but when you were second from bottom of the Premiership it was workers that you needed, and United had them. 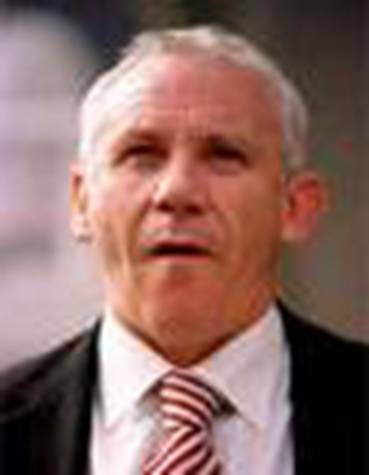 Whether determination alone would prove to be enough remained to be seen, but Peter Reid couldn't ask much more from his players. Recent performances hadn't got the rewards they had merited and it was surely only a matter of time before things would start to click. United weren't the best side to grace the Premiership, but they are better than nineteenth place.